Now, this is truly a first. 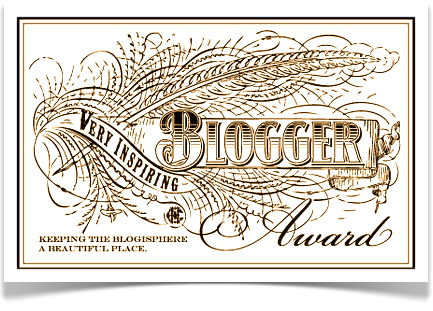 Myne Whitman nominated me for the Very Inspiring Blogger Award. She blogs at Romance Meets Life, and I doubt that she actually sleeps. She's so hardworking, y'all, and you should definitely visit her blog. Thanks a lot, Myne!!! What can I say? It feels good to be nominated. But errr ... as always, there's a catch. 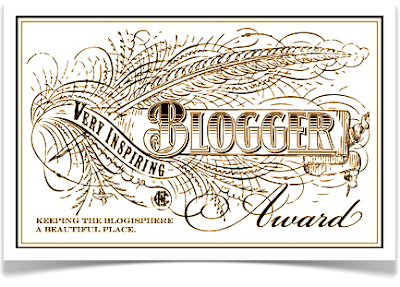 Nominate 3 - 7 other bloggers and link back to them. The first two are already taken care of. Now to the rest. 7 Random Things About "The Relentless Builder"
I firmly believe that there should be agbalumo-flavored chewing gum. Seriously, I would buy it. Why hasn't it been invented? Oh well, I will just direct my question to Oga at the top. Who is that? Your guess is as good as mine. And if that doesn't work, like a true Nigerian, I will blame it on the government. I love Indian food, and regularly experiment with recipes weekly. Curry chicken is currently trending on the menu. I randomly saw a couple's engagement pictures on Monday. As I was admiring them, I happened to glance at the open armpit of the bride-to-be. I am sorry to report that there was a tuft of hair there. Lady, but why? *sobs* I wish I could erase it from my mind, but I can't. The camera did not zoom in to see if there was hair on her legs too. That would have been too distressing. On a happier note, the groom-to-be either did not notice or did not care. Me? Traumatized. How much does a razor cost, biko? I really don't like people mis-pronouncing names. It is one of my pet peeves. My family members (and friends) know this and constantly use it to harass me. It works. God is watching all of you. 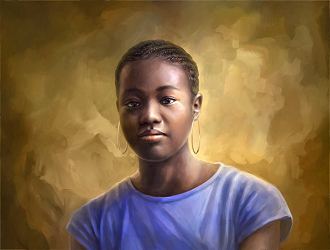 I grew up in Lagos and pretty much lived all my life in Surulere. I wonder if Baba Odu Bookshop still exists on Adelabu Street. When I watch classic Nollywood movies, every neighborhood looks like it's my former neighborhood. I can't prove it sha. I am a Yoruba woman, but I don't have that annoying "H-factor." To God be the glory! And if you stop by each of these blogs, it'll be easy to see why they inspire me too. Thanks for reading! I agree with you, I don't know how Myne does it! She's one inspirational blogger..
Congrats relentless builder on your award. I agree with you, Myne is superhuman! lol I'm sure they all look like your old neighborhood... aww thanks! Aww thank you! I will do this soon! And yes, Myne is superwoman! Atoskin: Thanks a lot! She truly is! Toin: Lol! Yes now, create it and I'll buy it. Simple. You're welcome and thank you. Myne: I used to not shave my legs but since I started, I haven't looked back since. The hair in the armpits though is non-negotiable. Nollywood Reinvented: You know how all these suburbs in Lagos look alike. I think it's only when it is shot outside Lagos that it doesn't look that way. Lohi: I hope you do too. You're very welcome! I doubt that it was sprung on her o. They both looked quite prepared. Thank God! I thought I was the only one who noticed the neighborhood similarity thing. Michael: You're welcome o! Ah, ori mi wu ... Thanks o jare! Looking forward to it. Thanks my dearest Dr Aunty Relentless,you inspire me too oo. you three much. Sugarspring: Well, thank you. I consider myself as having a wry sense of humor. In short, I think I am dry. Kayode Martins-Olowo: Lol! Thanks a lot o, bros.
P.S. You left out Pastor, Bishop and Professor ... Hahaha!